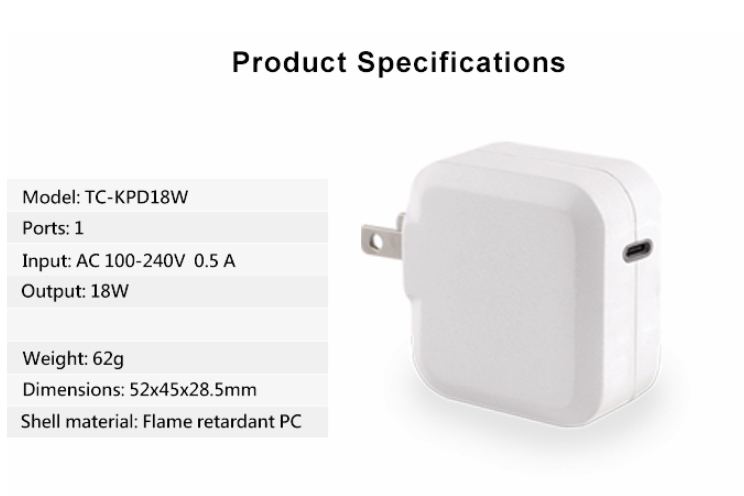 Topcom TC-KPD18W is a USB-C PD and QC3.0 input port fast charger, build in three leave of voltage can charging for mobile phone and the devices requiring a DC5V, DC9V and DC12V input. 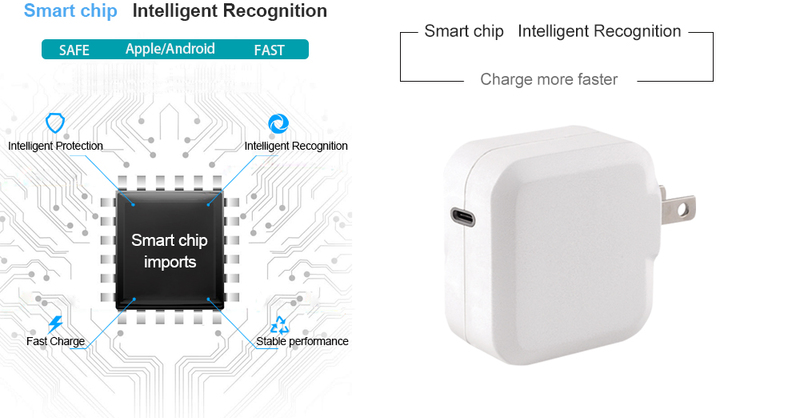 Build-in smart IC to auto identify suitable voltage and current for a device needed , support a device with the PD and QC3.0 fast charging mode to increase speed around up to 50% than normal power supply. Topcom PD Charger features Type-C Power Delivery (PD) and QC3.0 quick-charge capability. 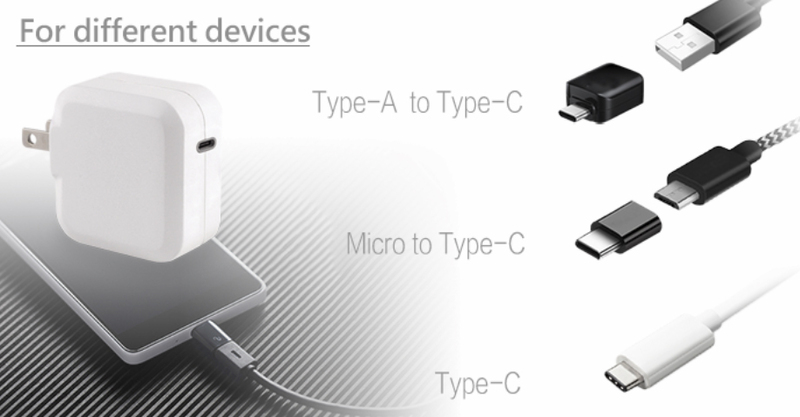 The Type-C interface can auto detect to offer suitable voltages and charging current. It supply up to a maximum output of 18W. Suitable for the powered of type C connector interface products. 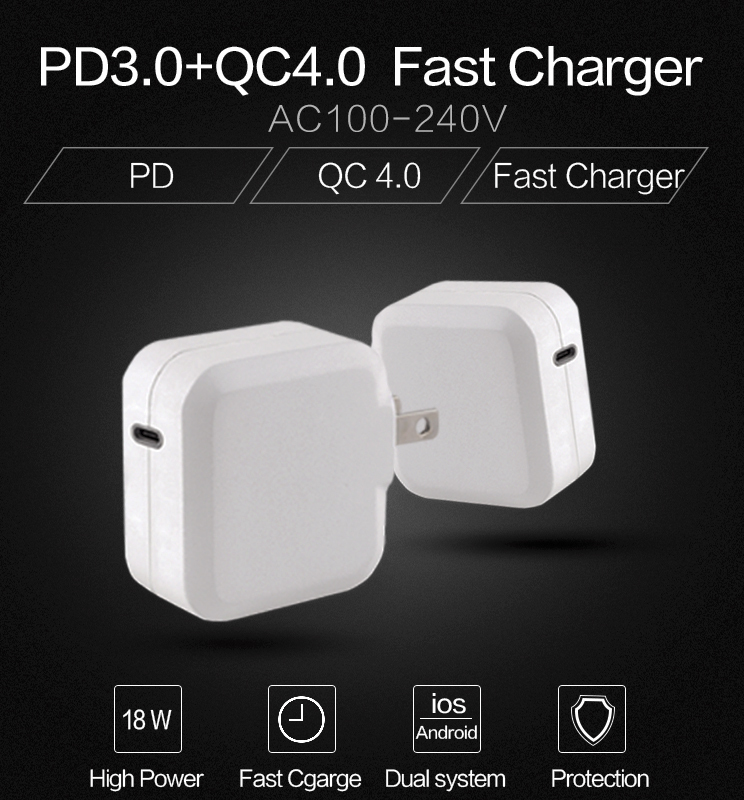 Support a device with the PD and QC3.0 fast charging mode, it is best choice for saving charging time. There is a good idea for different voltage device. 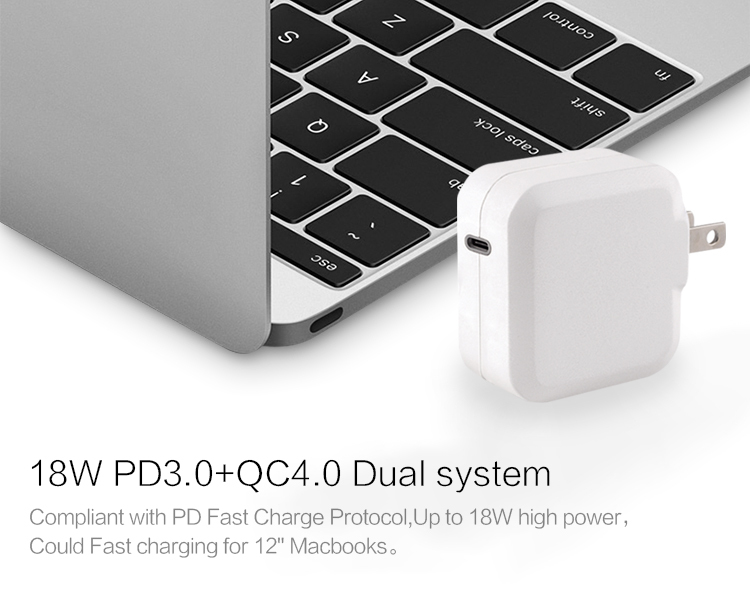 once the device used does not have PD or QC charging function, this charger can also supply power to the general D5V input device. TC-KPD18W USB adapter is a small and exquisitely appearance and build in USB-C interface PD3.0 charging function USB charger. It not only comes with Power Delivery(PD) high technology charging function to powered your device fast, but also have graceful appearance to show you temperament. 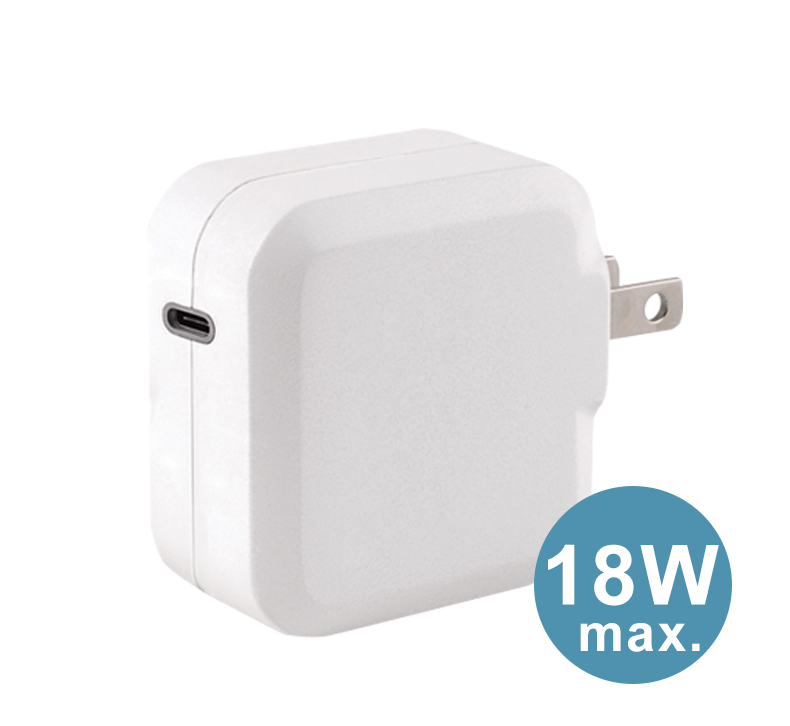 TC-KPD18W USB charger, it is your fashion accessory. 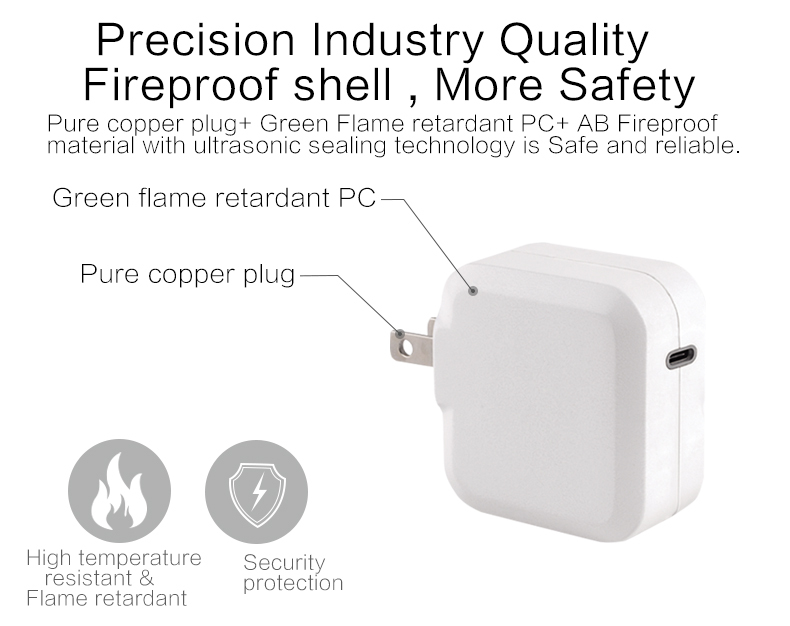 TC-KPD18W quick charger made by the 94V0 fire-resistant PC material. securing a safer long-time usage condition. Passed by the international standard and to go through more critical test, made it more durable and safer! 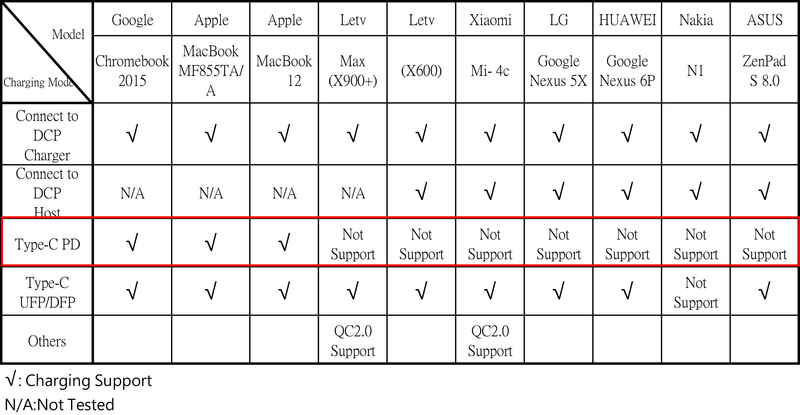 Currently supports DC 5V~12V input devices such as mobile hones、tablet PC、GPS 、toys and PS4 portable games devices. 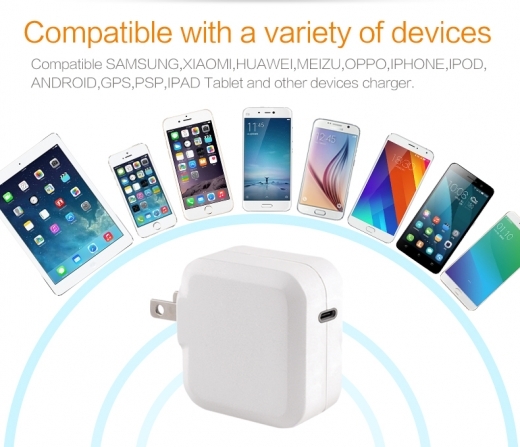 It can auto-regulate power output to suit each device for an optimum charging process. supports downward compatibility, you can connect to the type A connector for charging too. Don't need to worry about the charging problem. Topcom TC-KPD18W portable USB charger not only with friendly interface design to simple and easy use, but also comes with USB-C 3.0+QC3.0 high technology for fast charging. It is a best power supply for famous brand electronic and device. 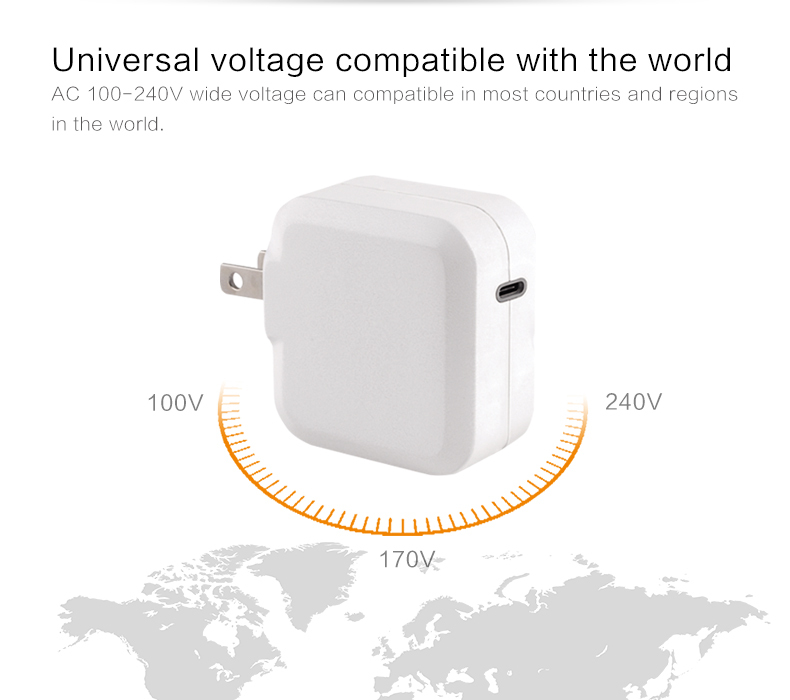 As Apple , , MacBook, Nokia, Google, Dell, Asus RGO, innos, Letv, Meizu, ZUK, nubia, Gigaset, Mi, Vivo, Hawei and other device’s USB charger. The molds/outlook/circuit of USB charger are all designed by Topcom engineers and built with high-tech technology. More secure than the materials of the public molds on the market.